This item is perfect replacement for your damaged PS4 Controller Shell, great gift to your friends or family. 2. Easy installed, stylish and practical. 3. 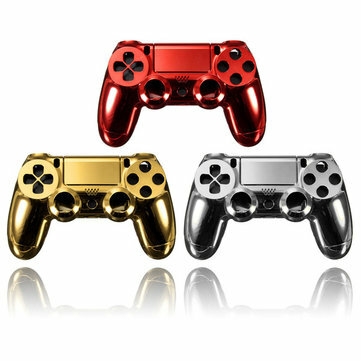 Fashion Chrome Plating surface, feel more confortable while using the controller. 4. Perfect housing shell / buttons / springs for damaged, repair or replacement.